Great speakers to provide their insights and inspiration to the family business community at this exciting family business masterclass. Family businesses are getting more and more recognition for the contribution they make to the British economy and beyond so join us in London for a great family business event designed to celebrate family business. The intention is to look at how to make the most of the ‘family factor’ in building successful family firms of tomorrow, harnessing the power of the family whilst developing the right governance structures too. Kinloch Anderson has been trading since 1868 and this sixth generation family business is recognised as market leaders in the manufacture of high quality clothing in an unsurpassed variety of authentic Scottish tartans, checks and other superb cloths of wool, cashmere and other natural fibres. Deirdre will share her passion for the business, what it means to have their name above the door and how the business continues to evolve as a global brand. An insight into the current economic state of the economy. Harrison is an independent catering company with over £57m turnover, which serves high-quality, freshly-cooked food to thousands of people in schools and workplaces every day. The second generation share their insights into preparing to take the helm and the process they went through to develop the necessary skills. 3rd generation pioneers of Scotland’s national dish, Jo and James are passionate about taking haggis to a new place in an environmentally and ethically sustainable manner. The company continues to innovate in many area including new products, staff developments and a fresh approach to marketing focused on social and digital media. 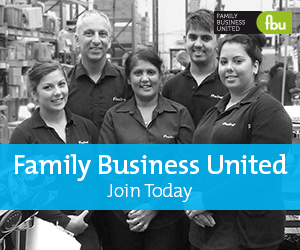 Strong family values pervade this family firm who also help other entrepreneurial family businesses too. 4th generation Chairman of this Dorset based business, Rosie will provide an insight of what it is like to lead this award winning family firm, the role she took on and how she was the first woman to lead their family firm. 10th generation family firm of Funeral Directors based in Sussex with a 300 year history. Will share their journey, including how they lost the family name during the period and have recently succeeded in bringing the name back into the family firm. At London Business School Nigel divides his time between research, writing, executive teaching, public presentations, media work and business advising. He is most active currently in the areas of leadership and family business. His latest publication is The “I” of Leadership: Strategies for Seeing, Being and Doing (2013) and he will share an insight into what it takes to become a great family business leader. Instrumental in pulling together the brand and messaging behind Thatchers Cider Shaun explains how a national advertising campaign was developed that brings to life this family business brand. With extensive experience of working with family firms and a background from his own family business, Sandy will look at some of the best practices for engaging and developing the next generation in the family business. Juliette Johnson will bring proceedings to a close with representatives from two of the oldest family firms in the UK. Our speakers will share their stories, best practice and what they have learnt along the way in a great venue. We would love you to be a part of it!